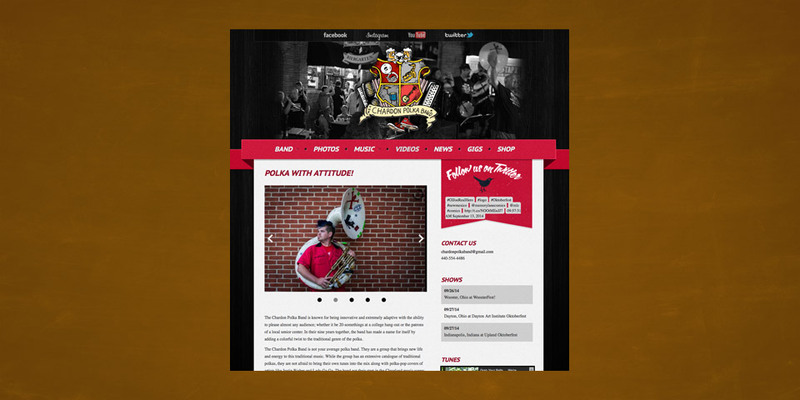 When the Chardon Polka Band came calling Boom Creative listened with open ears. Polka is an art form and nobody does it better than these guys (and Emily). The new site features a wordpress backend for easy updates, news posting and gig management. This will all come in handy as their new reality show “Polka Kings” begins airing on the Reelz Network in January.